In this letter, W.J. 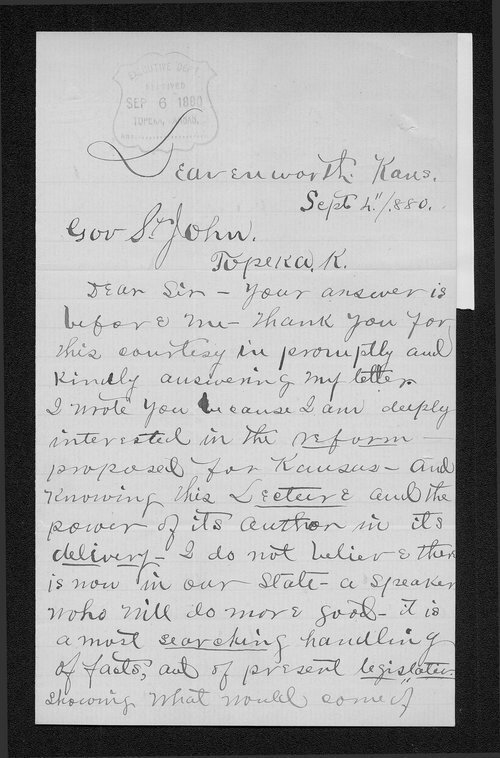 Alexander expresses his gratitude and admiration for Kansas Governor St. John's oratory ability after hearing the governor has accepted an invitation to lecture at a temperance convention in Leavenworth. Alexander believes temperance should be a condition of eligibility for "positions of public trust."